The Cushwa Warehouse was constructed circa 1800. 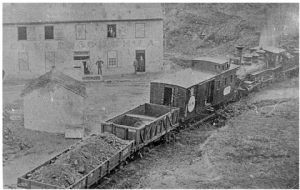 By the late 1830s, the warehouse's main commodity was coal which was sold in the local economy and for transport down to Georgetown where there was a huge demand. The building has seen multiple floods, recessions, and even Civil War battles during its time on the side of the canal.